I just couldn’t resist the annual pilgrimage to Mumbai to experience the Indian IT elite’s gathering, in the case my concerns that the offshore-centric IT service delivery industry was getting complacent were misplaced. Sadly, they were not. It has been two years since the NASSCOM leadership forum of sell-side IT execs was held in Mumbai (after a pretty disastrous diversion in Hyderabad last year), so it was pretty obvious that attendance was clearly down, compared to two years’ ago. Am sure numbers will be reported otherwise, but it was pretty easy to navigate the entire venue without having to resort to the traditional scrimmage position to hack through the usual sea of people. The atmosphere was “relaxed”. Seriously. The traditional urgency has somehow dissipated to this bizarre - almost chilled-out - mindset from most of the people there. “Aren’t you guys worried about Brexit or this Chinese/US trade war escalating. Surely that could really hurt Indian service delivery?”. Most people just shrugged. No-one seems to care that much anymore… everything is just fine, and, I hate to say it…. BORING. Digital as a term is done. Yes, even in India. After the last few years of digital overdosing, the only time the word is now uttered is when an Indian provider exec explains that “half their revenues are now digital”. Service providers fell into two camps: inspiring and downright awful. Yes, we literally hammered our way through 30 meetings and I can honestly report that about a third were truly inspired conversations… the other two-thirds were dull as dishwater. Some came to us with a precise vision and focus, others literally had nothing to say beyond “we’re doing OK”. There was nothing in between. There is a depressing lack of service delivery disruption. All the execs wanted to pitch was their amazing new pricing models that incorporated some RPA and some type of “outcome” pricing. Few were pushing their ability to disrupt actual service delivery with a next-generation talent development strategy. Few were talking about how they were helping clients with innovative role development, with change management programs, with co-investment plans, with the re-platforming of IT for their clients. And no-one was talking about investments in cognitive assistants and blockchain… it was all about dumb RPA bots and new-fangled pricing models that helped them win deals. Who is advising these people? Don’t they – at least - talk to decent analysts anymore to tune up their messages? Where were the CEOs? We got visits from Salil Parekh (Infosys), C.P. Gurnani (Tech Mahindra) and mid-cap CEOs Keshav Murugesh (WNS) and Nitin Rakesh (Mphasis). In addition, we were treated to Accenture’s CTO Paul Daugherty, which was welcome… and Capgemini’s Thierry Delaporte, co-COO (and potentially the next CEO) did manage to make the trip. However… Cognizant, HCL, Genpact and TCS all failed to serve up any C-Suite royalty. Isn’t this supposed to be India’s premier IT event? And what about IBM and DXC, two of the largest IT employers in the country? I don’t think a single leadership soul from those giants made the effort. 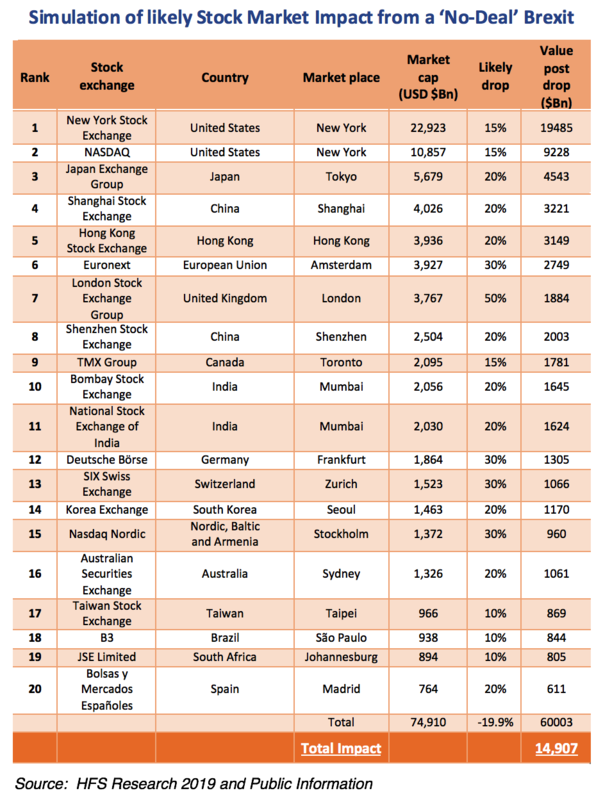 Not to mention Deloitte, EY, PwC… all huge beneficiaries of Indian IT talent. Where were they? Where were the RPA dignitaries? Considering RPA was pretty much the most discussed topic this week, apart from AntWorks co-founder Govind Sandhu and a rumored sighting of Automation Anywhere’s Mihir Shukla, they all gave this conference a wide berth. Considering the Indian IT service provider channel probably represents the largest growth opportunity for the RPAs, this was a huge miss from them. And from NASSCOM for not inviting them along. What happened to the analysts? Aside from single individuals from Gartner and Forrester, only a handful of lower tiers analysts were seen parked in the meeting lounge desperately trying to pitch their wares to Indian marketing folks (pretending to be excited by them). Even the HFS trends session was thrust into an obscure breakout room that ended up with wall-to-wall standing and disappointed people being turned away. When I mentioned to some NASSCOM folks that it “may have been wiser to stick us on the main stage”, the response was “We’re truly sorry, but we have to be careful not to upset the other analysts”. As if anyone would have cared… there were hardly any there in any case… and when did the feisty Indian IT monster of yesterday worry about upsetting a few people? Thank god for Rishad! The one truly bright shining light was the effervescent Rishad Premji gracing the halls, bouncing around on stage, talking to everyone he could, even having beers with his buddies in the hotel bar. Someone with a vision, oodles of passion… saving the day for a tired old show that badly needs a facelift. I must apologize to my friends at Wipro, but can you just let this guy run for PM? I can recall all the way back to my first NASSCOM invitation in 2002… this was THE event of the year, back then. Anyone in IT services who meant anything just had to be there. This thing literally used to be Davos for global IT. Now it appears to be descending into a microcosm of an Indian IT industry bordered on complacency… content to make quarterly numbers and little else. Having spent time, in recent months, at industry events in the US and emerging European locations, something is going wrong in India. Is Indian IT losing its luster? Has it settled for what is has… losing its ambition to keep disrupting the world of technology, like it did so magnificently between 1995 and 2015? Will we see IT services firms headquartered outside of India creating the next big shift, leveraging more talent from emerging locations such as Ukraine, Poland, Russia, South America and China… and lessening their reliance on India? In short, it's been a mildly frustrating couple of years for RPA’s early mover and market maker, Blue Prism… the firm was the first (and still only the first) pureplay RPA firm to go public, with every dollar spent being visible, all staff moves closely scrutinized, and a CEO who’s had to divide his time between board meetings and investor days instead of harassing the conference circuit as aggressively as his rivals. Meanwhile, while some of his competitors have been in stealth mode, raising all sorts of private investment and offering licensing models that appear (on the surface) a lot cheaper, while selling the “This is easy, this is no/low code, we can train you in weeks and get you a nice certificate to share with your friends on LinkedIn”. This is what I personally detest about the software business… anyone can sell dreams, confuse executives too scared to ask critical questions like “how exactly does this work again?” especially when you have the lovely term “robotics” to excite greedy CFOs and CEOs eager to find new ways to increase margins. Cutting to the chase, the Blue Prism team has stuck together for almost a couple of decades and has stayed true to its very British style of keeping the discussion realistic, refusing to get too carried away with the hype and the fantastical stories gripping many starry-eyed executives eager to slap RPA success on their CVs... not unlike the SAP and Oracle roll-outs of the 90s and Workday and Salesforce escapades of the last decade. Now it’s all about stitching the wonderful skills of building scripts, macros, document processing and screen scrapes with the emerging excitement of Machine Learning, Natural Language Processing, Augmented Reality and Computer Vision. Yes, folks, you thought the hype-train of the past 30 years was bad, the one we’re venturing into is going to drive many of us completely nuts. It’s been pretty hard for Alastair Bathgate not to get irritated by the challenge of his highly-visible firm taking pot-shots from other firms, playing on the excitement this market is generating, promising enterprise clients dreams that will likely turn into nightmares when they set their expectations to achieve outcomes their staff simply do not have the skills to achieve – with a hodge-podge of processes far too messed up to fix, simply by slapping new software components over the top. While his firm may not have been quite as successful as UiPath in forging lucrative partnerships with professional services firms and lacks some of the terrific messaging and vision of Automation Anywhere… while having to tackle a publicly-listed firm persona and widespread (unjustified) confusion over its pricing model, you have to credit Alastair, Dave Moss, Pat Geary and Martin Flood for sticking to their knitting and focusing on what they know best – keeping the conversational balanced and realistic and investing in the sales and technical talent they believe they need to keep developing their product. It went unnoticed to many that Blue Prism recently landed a $130m investment round. What excites me about this investment is the firm will actually get the money over the next two years and we can see exactly where it is going… on its product-specific developers in Manchester and an exciting new group of research in London, where 25 crack AI thinkers will be working hard to take Blue Prism’s solution into the place it needs to go. The firm already has a diverse group of 250 salespeople... now it can focus on the development areas that hold the key to who will ultimately will this automation arms race. In addition, the firm is working hard to fill the gaps in its current solutions… while it prides itself of the back office unattended automation, if has suffered at the hands of AA and UiPath when it comes to very RDA-centric (Robotic Desktop Automation) engagements (what we call “unattended watched RPA”). Plans to release (in version 6.5) document processing capabilities to support end-to-end processing of document workflows which also acts as an OCR system to classify documents, extract key-value pairs and encode verification steps into the digitization process, could well propel the firms back to the front of the market as the reality of delivery exceed these dreams of great visions. In addition, Blue Prism plans to deliver full Japanese and simplified Chinese language capabilities with this new version release… essential add-ons as it plays catch-up to UiPath in this region. The stark reality we’re currently facing is getting ahead of market confusion to forge genuine learning journeys for ourselves, our careers and our companies. At our AI-enabling Operations roundtable last week in New York, we all agreed that AI is Nascent, New, Hard … but it is, most certainly, Inevitable. The most important clarity that most organizations have gained over the last several months is that AI is not some monolithic thing or a singular technology. Instead, we’ve come to understand AI as a toolkit, or “a bucket of stuff” that enterprises can use to make their operations more intelligent; building blocks that include various elements of foundational AI moving across a spectrum toward more packaged solutions. The one common denominator among the executives was that they were all determinedly seeking to evolve their experiences from RPA to join the dots to the next steps of achieving enterprise-wide automation and AI capability… essentially integrating the tools and hatching a real plan to get it done. This is where the likes of Blue Prism, Automation Anywhere, UiPath, Pega, Kofax, and AntWorks need to head next; building on the RPA digitization to create real solutions that go far beyond scripts and bots… solutions that can help re-invent the underlying institutional processes that have held back firms for years. Let's get to the point: most of the past five years have borne witness to our industry postulate on the why and what of digital (and many still do). It's time to focus on the how. Unlike the wild grandiose claims from most services and tech providers that everything they do, these days, is "Digital"... it is far, far more than simply investing in new technologies. Digital is about embracing interactive technologies, mobile, social and analytics to drive new revenue and customer experiences, as well as harmonizing business silos to support these digital outcomes. 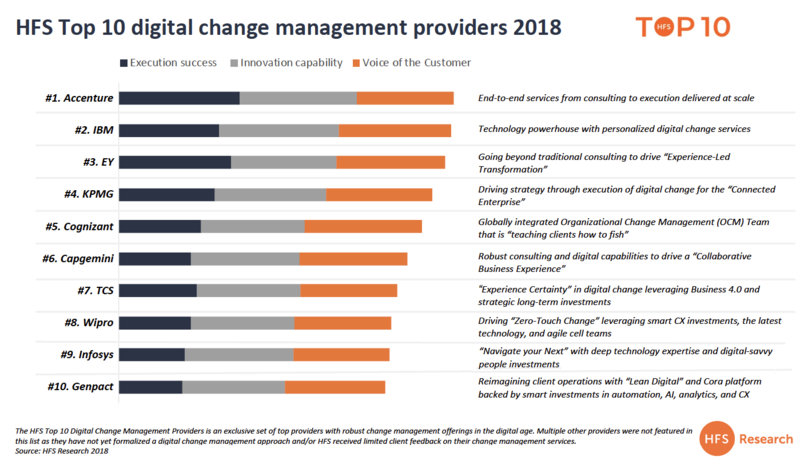 However, success in digital initiatives is much less about technology adoption... and much more about people and culture, and the ability to manage that change. Code errors can always be fixed, workflows stitched together, apps integrated... but taking enterprise teams through the whole volatile experience, helping their staff learn new techniques, creating an environment where an enterprise can keep evolving on its own accord, and not rely on armies of consultants until perpetuity, is how we evaluate the performance of today's ambitious service providers. There aren't too many people who can boast to be one of the true pioneers of the emerging robotic process industry, or whatever we end up calling it, but one man who didn't need to recreate his resume in 2017 is Francis Carden, one of the original brains behind recreating desktop automation to become Robotic Desktop Automation (RDA) which is such a key component of the broader RPA offerings attracting so much noise and attention today. And he now leads the whole robotics strategy for customer engagement and data orchestration giant Pega. Phil Fersht (CEO, HFS Research): Francis - firstly, tell us about the OpenSpan business you co-founded and how this evolved to the acquisition by Pega? Francis Carden (VP, Digital Automation and Robotics at Pegasystems): In 2004, a group of “tech head” advanced windows operating system engineers approached me about forming a company using an automation technology vastly different from anything proceeding it. It let companies rapidly automate, through the Graphical User Interfaces (GUI) of windows applications, any task or process that a normally would be done by a human on their desktop. On first hearing of it, I had to laugh and said to myself, “It sounds like screen scraping.” I didn’t believe what they were proposing was even possible. But I did a deeper investigation into the background of these engineers and the technology and found it both unique and incredible. So I bought in – and even invested a significant amount myself. Today, we label our RPA technology “Deep Robotics” given it is so different. In 2005 we started OpenSpan and over the next three years, as CEO, we convinced a consortium of Atlanta technology angels and then attracted four Tier 1 VC firms that what we had was something different. The customer base grew rapidly. Our patented technology started life as being called “Surface Integration” because it was so different from screen scrapers of the past (and current RPA). But we quickly settled on “Desktop Automation” (known today as RDA), and “Automation Broker” (known singularly today as RPA). We ended up implementing most of the world’s largest RPA projects over the next 10 years. What I mean by that is organizations on the digital transformation journey shouldn’t aspire to RPA as the end game. You really need to look at RPA as a short-term plug to fill the gaps on the road to get there. When you deploy RPA, you’re just masking the poor processes behind it. And when application UI changes, the bots are prone to break. It might be weird to hear me – an RPA vendor - say that. But it’s the truth. And that’s where Pega’s digital process automation (DPA) software comes into play. Pega enables you to digitally architect those processes the right way, from the ground up. No more organizational silos, no more inefficiencies, no more needlessly manual processes … and really, no need for RPA to always be the first option. RPA gives you a digital automation jump start, and when it’s time to deploy DPA, those bots can be put out to pasture. And the good news, at least for us, is that everyone is on a digital transformation (One office as HFS call it Phil) journey, and it really never ends. RPA and DPA are the perfect one-two punch. So the tie up and combined value prop with Pega was, and has been, an ideal match. You've been the undeclared granddaddy of RDA, so what is the key "difference" between RDA and RPA... unattended and attended... etc? Imagine if every compiled windows application ever built allowed itself to be automated from within its own code, robustly and in real-time. You wouldn’t need any RPA, right? However, very few apps running on windows are easily automatable at the UI layer – at least, without resorting to screen scraping techniques like MSAA, UI automation and OCR. In 2005, we patented a more sophisticated approach to UI automations – a “plug-in” like architecture that enabled any compiled windows application and all its objects to be non-invasively automatable in a single architecture. This “deep robotics” automation occurs inside the windows layer, inside the memory of the machine, and runs as if the original developer of that application had natively built it. This plug-in like approach automates at the application’s original speed (10x to 100x faster than scraping), highly robustly, and far less susceptible to application UI changes. More importantly, and hence the dual name “attended RPA,” it even allows the desktop worker to use their machine, keyboard, and mouse while the automations are running. This is something unheard for old school scrapers and other RPA products. It is this pure form of RPA that also enables it to be used as RDA, giving every worker their own personal robot or “co-bot” to automate from one percent to 90 percent of their work. Agile RPA. And only then, after you’ve rolled out RDA, should you look at those same processes ready for full automation with RPA (unattended as opposed to attended) operations. Before the Pega acquisition and continuing since, we have 100s of 1000s of bots deployed across some of the world’s largest enterprises in all industries. By the way Phil, being a Grand-daddy makes me feel old, but I did calculate that I’ve been doing automation of the UI for 20 million minutes of my life! So what happens next as RPA (assume RPA includes RDA here) moves from "tinkering" to broader enterprise adoption - where do you see clients finding the most value, and how can they scale their people and tech platforms to accommodate? Good question, Phil, and the key word to the question is “tinkering’ – which is how most RPA vendors excuse themselves, after 10 years of trying, for not getting many customers to really scale or still stuck in pilot stages. Attended RPA (RDA) scales -- that’s a fact. It automates all the easy stuff in an agile way. But RPA unattended constantly struggles with trying to automate everything, both the easy and the hard stuff. Putting RPA band-aids on top of old and tired processes is just wrong for the long term. As Gartner says, “RPA is a tax on legacy,” but businesses are often so enamored by the hype. But the thing is, RPA will indeed scale if it’s part of something bigger. RPA is tactical to the extreme. Digital transformation is strategic. What happens though if you combine the two? This is where software robotics shines. Using RPA and RDA to plug gaps that currently prevent digital transformation allows business and IT to align to solve the real problems. This gets you real and rapid ROI from RPA out of the gate, but equally, it encourages planning to then “fire” the robots as fast as you deploy them. Not something you’ll hear other RPA vendors promote Phil. With robotic automation capabilities embedded and fully integrated into the heart of Pega’s DPA, we are seeing enterprises really changing the way they compete in a race to become them most digital company in their market(s). Analog companies, using tactical RPA only as the glue, or those not buying into your one-office analogy, will simply not survive. Francis, we're seeing some tentative moves from "big iron" ERP vendors such as SAP into the process automation space, but do they really want to delve into this world, or are they merely ticking the "we have an RPA module" box? Like I said, if all new applications were built to be truly digital and open, then there is no need for RPA at all. But we’re living in the real world here. While we wait for that to happen, the real “transformation” vendors selling the digital dream need to be able to use tactical technologies like RPA to help their customers plug the (hopefully) short term gaps. This gives customers quick relief where they are strangled by their legacy systems with no other integration capability. If a vendor doesn’t have this kind of automation, this sets the customers up for failure – they need to automate now to compete, not six or 12 months from now when your big overhaul project is finally done. There are now 30+ RPA vendors, but I think the bubble will burst on these companies riding the hype wave. Most of them use many of the same old scraping technologies, and none of them have a unified DPA play to help companies for the long term. I’m not sure how long these RPA companies will be able stand on their own. Consider that Pega now includes bots as a standard capability of our DPA platform. We’ll give you all the bundled bots you need as part of your DPA strategy. So yes, we’ll likely see more consolidation in this market. 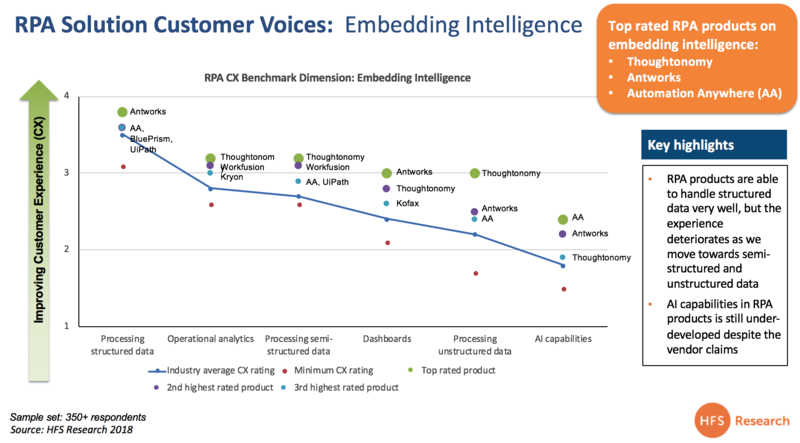 And how do you see the "blending" if classical RPA with some of these newer AI products on the market? It feels to me that RPA has really evolved from the process/operations side of the business, while AI is some magical vision being pushed hard by IT, but lacks in real business applications? What is real versus fantasy in your view? This is the biggest myth of RPA. The idea that AI will help accelerate getting RPA to scale. It’s a red-herring perpetuated only by those in the RPA industry. No bias there then!! I concur with you Phil that AI is central to becoming a truly digital company. However, the idea of using AI with RPAdoesn’t fly – at least not right now. AI must live central to anything an enterprise does, everywhere. AI needs data, and LOTS of it. But very little of that will come because of RPA. In order for AI to be really valuable, it needs data from as many systems as possible as well as data feeds from interactions with as many customers as possible, in real-time or extremely fast. Only then can you use AI start to predict what customers are going to do and/or create models that make the best decision for each individual customer. RPA would likely touch less than 1 percent of 1 percent of that data, so if anything, the RPA world is embarrassing themselves by trying to join these two tactical vs. highly strategic dots. Don’t get me wrong, AI can create work for RPA bots, and maybe some RPA feeds some data into AI, but that doesn’t make RPA Intelligent. At the heart of AI is a digital company with data feeds from every source feeding into it. The DPA (one-office) movement is joining real transformation technologies together, acting as one, with AI at the center. The vendors that have DPA are the ones delivering IT and business on the promises of the past – a real digital company – and envy of their peers! Thanks for the insights, Francis... we'll be watching Pega closely in this space this year as the market finds its sea-legs... and some more attractive lipstick!